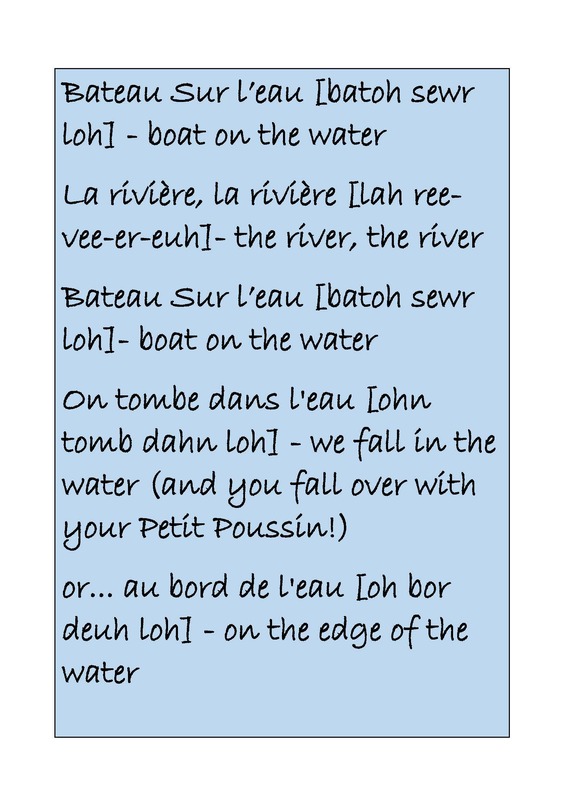 As part of our transport theme, one of our favourite songs is ‘bateau sur l’eau’ – boat on the water. There are a few versions of the song, as usual we have added a Making Languages Fun twist to it and we have modified the end of the song. 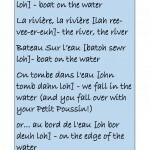 We shout “tombez!” which means “fall” and we all fall, ‘splash’ into ‘la rivière’ – the river. It’s also great bath time song and all of our Petits Poussins love it. You could also say ‘vite’ [veet] – which means ‘quick or fast’ to reinforce every day commands whilst injecting our motto of ‘Making Languages Fun’ into your game!